For most travelers, Abu Dhabi is reserved for a day trip from Dubai or quick business visit. But this groundbreaking city has so much more to offer the intrepid travel looking to dig deeper into its rich history and culture. Discover three exciting ways to visit Abu Dhabi and get the most out of your stay in the UAE. 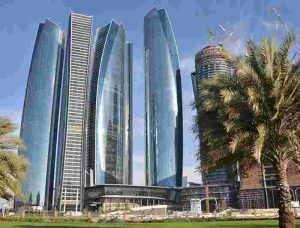 Most visitors to the UAE opt for a quick day trip to Abu Dhabi with a travel agency. However, they’re like going to only hit the top 10 attractions and severely limit your time. Instead, stay for a few more days and explore on your own. With a car hire Abu Dhabi can be as easily explored on a budget by cutting out the driver fees, tips, and overcrowded hot spots. After picking up you car with Monte Carlo Rent A Car, LLC, get off the beaten path and explore a local attraction like Mina Dhow Harbour, a lively market that features the finest seafood in the country. Or take an in-depth tour of the falcon hospital. Here you’ll learn about the UAE’s ancient relationship with this mighty bird. Abu Dhabi is filled with unique experiences like these and there are all well worth exploring. The UAE features some of the most amazing museums in the world, and Abu Dhabi is home to many of them. The city not only offers its own versions of the Guggenheim and Louvre, but also the high-tech Manarat Al Saadiyat, the culturally rich Warehouse 421, and the iconic Heritage Village. You can spend a week in Abu Dhabi and still have museums to explore!